Last spring, I shared all about Pish Posh Baby and how they made shopping for new moms and moms-to-be simply that easy. 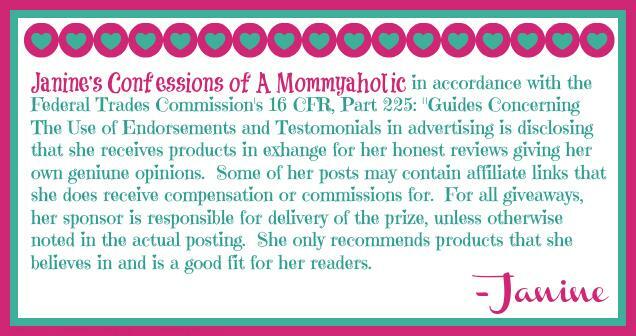 Even though, I am no longer a new mom and my girls are indeed pre-school age, I loved being able to delve into the creation of the company and how they pride themselves on not being a site that you can not only buy from, but also have their own blog to compare and contrast all the products they do sell, like the infants car seats I reviewed in length in that particular post. If you missed it, please click here. Today though I am happy to report and update that Pish Posh Baby has added their own baby registry with new features to their site. The baby registry utilizes three awesome concepts that you can’t find anywhere else. It is so very simple, too and you can find out all about it now here. Group gifting allows your friends and family to be able to chip in on larger type registry gift items, such as trollers, car seats, and so much more, because it is fully stocked with all types of baby essentials. Honestly this is great, because with most gift registries, like Babies R Us, people can only gift with smaller items rather then some of those larger essentials new moms need to take care of their babies by chipping in with other to indeed gift a larger priced item. Trust me, even though it was almost five years ago for me, I totally remember this aspect of my baby registry and how frustrating it was that you couldn’t have the option to group gift easily. If you are a first time mom-to-be setting up a Pish Posh Registry, you can even set up the account using your own Facebook login, so that once you do put items in your registry, you can totally share your registry to Facebook, where all your Facebook family and friends can now go the site and set an amount they would like to contribute to a certain item they would indeed like to purchase for you on your registry. Conversely, If you are purchasing from the registry, you can leave a personalized message and even invite other Facebook family and friends to chip in on an item you are contributing to purchase. In this day and age, when social media, especially Facebook is king, this really adds a whole new playing field to having a baby registry or purchasing from a Baby Registry. And can also help turn many small contributions (by others re-sharing the registry and their contributing purchase with all their Facebook family and friends, which is a small, but significant chain reaction for the gifting process) into some wonderfully larger gift(s). And since the registry is shared on Facebook, friends and family can tell you which products worked for them and which didn’t, as well as give more suggestions you may not of thought of or even just send their best wishes on your impending arrival. This is another great feature for those who are either setting up the registry or have gift cards from their registry to purchase by having access to a network of mom reps, who can also offer their own personal advice and expertise. You can either chat right online from the convenience of your own computer or call 877-747-4767 to speak with Pish Posh Baby’s wonderful mom experts. Seriously, it is like having a personal shopper all to yourself, who has prior knowledge of most, if not all the products available. Trust me, baby shopping can be daunting and very overwhelming, when you are unfamiliar with shopping for a little one when you are pregnant for the first time, so to have this added service and piece of mind really is an amazing service they offer to all. Last but certainly not least is free shipping on all order over $75. Seriously what more can I say! I mean who doesn’t like Free Shipping when ordering online and to have this as an option, of course, really makes it that much more enticing to use Pish Posh Baby, when indeed setting up a baby registry. That's awesome! Where was this back when I was first pregnant nine years ago LOL. There was nothing like this at the time. I know Robin. As soon as I was writing this up, I was so jealous and wondering why this couldn't have existed back when I was indeed pregnant! I definitely agree that group gifting is a fantastic idea! You're offering some amazing giveways!! How fun is that group giving option? I am going to share this with my friend who is preggers. this is fantastic, janine. i am bookmarking this site so that i can start my registry with them! This group gifting idea is new to me very unique idea you have posted. Keep posting useful stuff thumbs up.